1. We use welding machine which come from USA has stable welding temperature, to ensure that the joint part is very durable and air-proof. 2. This is an seald tent which is inflated by air pump, you need to inflate it once. The air can stay in the tent more than 1 week each time after you close the air tap. 3. There are a lot of anchor rings at the bottom of the airtight tents to tie sand bags, the tent stakes will go with the tent. 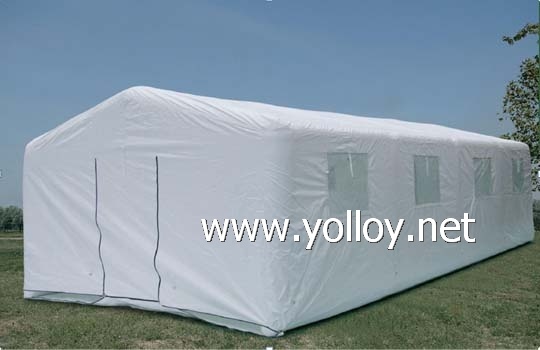 Remark: Each medical tent/ refugee tent will be tested to check quality ensure the tent is airtight . Welcome to inquire more details.